"Oh hi there, I'm Paul. Here at TV Magic, we help a wide range of people with their home entertainment and TV needs. We find solutions to our customer's TV issues and provide high-quality services, catering to their specific needs." Paul Sutherland is our most recent (2016) Gold Coast technician. Servicing all suburbs of the Gold Coast from Pimpama to Coolangatta. 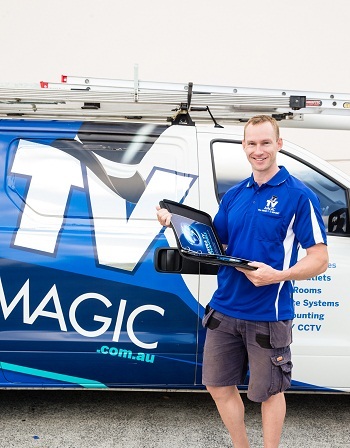 Paul is part of team TV Magic Gold Coast along with Daniel Ryan. Ex army, Ex Artillery and Ex Personal Trainer - Paul Sutherland still enjoys working out, keeping fit and building muscles. As you can see if you were to meet him in person. 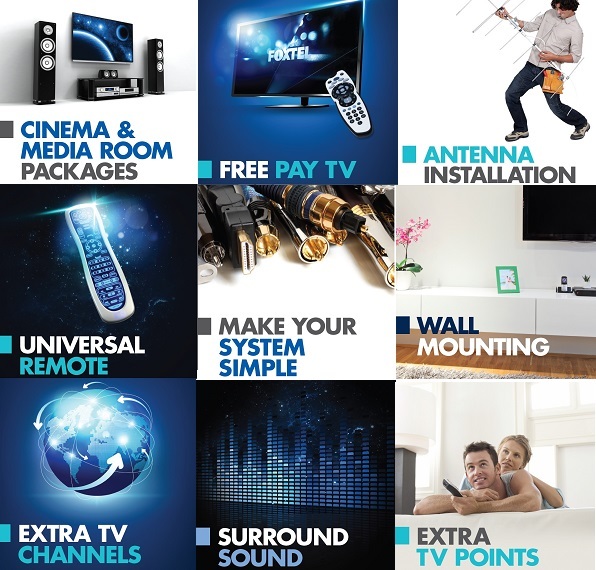 IF you require Antenna installation, TV Tuning, Home Theatre Setup, MaTV services, Wall Mounting, Extra TV Points and you live on the Gold Coast Call Daniel 0488 899 849 or Paul on 0474 726 666. Meet Paul. Paul works with Daniel servicing the Gold Coast's TV needs. Learn more about Paul here! What were you doing before TV Magic? "I was a Personal Trainer"
What is your favourite job to do? "Installing antennas!" Favourite TV Show? "Game of Thrones, for sure." Tell us something that not many people know about you. "I'm originally from Victoria." Your favourite experience with a customer? "Any experience where I have been able to solve their home theatre system issues and get it working again!" Go-to TV snack? "Cawfee and biscuits." Describe your average day in 3 words. "Varied, interesting and rewarding!"